Raised by migrant farm workers in agriculture-centered Salinas, California, Luis Ayala found early success for himself on the football field—enough success, in fact, to send him to college on an athletic scholarship. But when his grades began to falter, his motivation to improve came not only from the hard work of his parents but also from a very specific memory of youth: the annual Christmas trip to visit extended family in Mexico. When he turned things around, earned a bachelor’s degree, and was accepted into Harvard’s Graduate School of Education, Ayala envisioned his post-graduate life back on the West Coast as a teacher and football coach, working his way toward a school superintendent position. But an opportunity to serve a fellowship in the broader arena of public policy alerted him to career options he’d never considered before. “I discovered there was tax reform, economic development, public safety, and global markets, and I thought, ‘Why just focus on education when there are all these other issues that impact people’s lives?’” Ayala says. He spent about ten years working for lawmakers and legislators before an opportunity in government affairs with the Los Angeles County Medical Association—a trade organization representing both physicians and providers—tipped him toward the healthcare arena. Ayala grew especially fond of the ability to help lower-income populations have greater access to healthcare in general. That’s where Children’s Hospital Los Angeles, and its representation of California’s most vulnerable patients comes in. 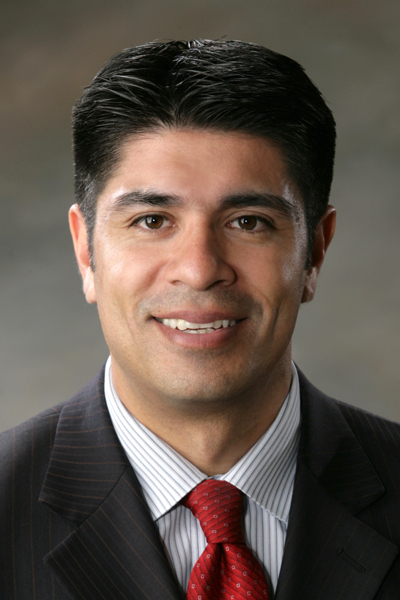 Ayala had barely settled into his new role as vice president of enterprise government and community affairs when he joined his new team in dealing with, potentially, the biggest challenge a hospital such as this could face: a slew of proposals, brought on by both the Trump administration and the GOP majority party, to slash federal funding to Medicaid and replace it with block grants, offered to each state based on population. If such proposals came to fruition, California would lose about $120 billion over ten years. This included partnerships with key organizations, such as the California Children’s Hospital Association, a representation of eight free-standing pediatric hospitals in the state, as well as the Children’s Hospital of Los Angeles Medical Group, the Children’s Specialty Care Coalition, and the California chapter of the American Academy of Pediatrics. When all was said and done in 2017, the deciding vote by the late Senator John McCain kept those Medicaid cuts from becoming reality. But Ayala’s team only took the slightest of breathers before researching, restrategizing, and setting new priorities at the federal, state, and local levels. At the time of publication, Ayala and his team were working in anticipation of the 2018 midterm elections and the state elections in California. To prepare for California’s state elections, Ayala and his team were focused on the Children’s Hospital Bond Initiative, which—at the time of publication—was set to appear as Proposition 4 on the California ballot in November 2018. If passed, Ayala says, it will raise $1.5 billion over the next thirty years for system and service updates for Children’s Hospital LA and the seven other pediatric hospitals statewide. It’s times like these that he’s grateful for the years of experience—both in healthcare and the government—that his team has.